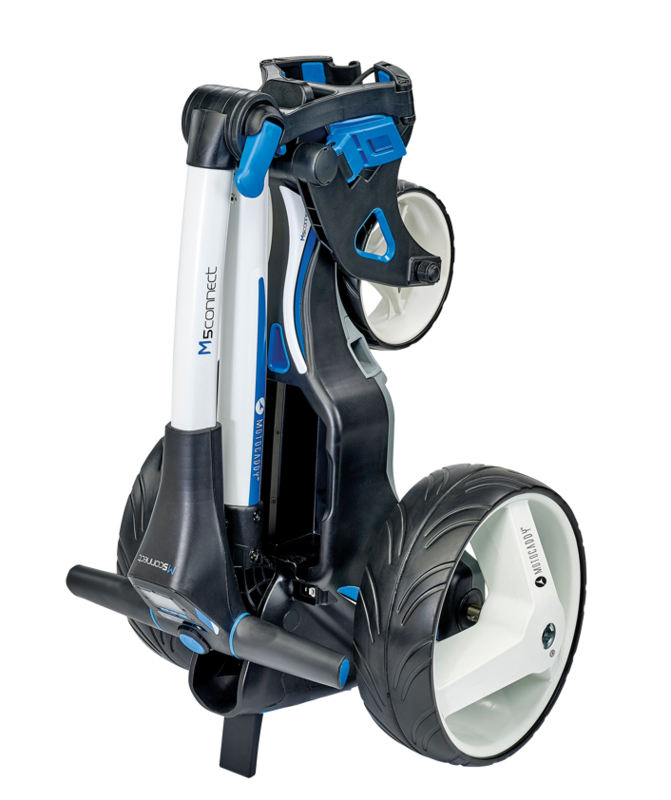 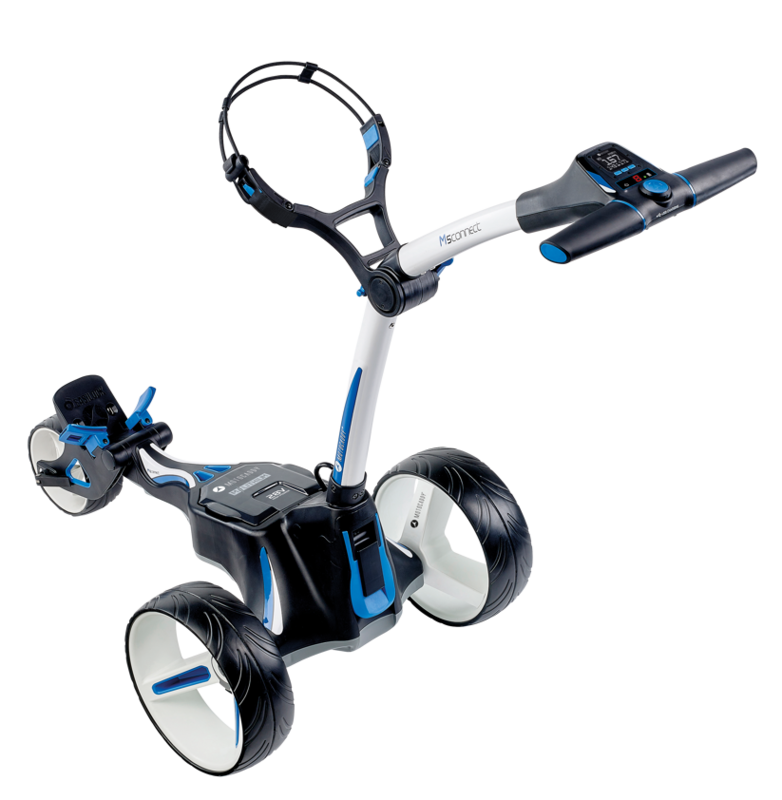 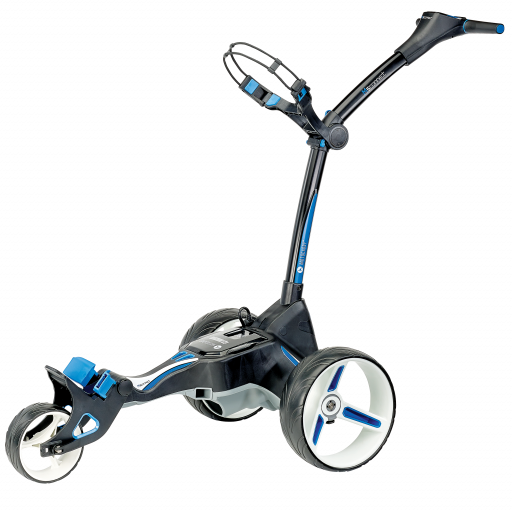 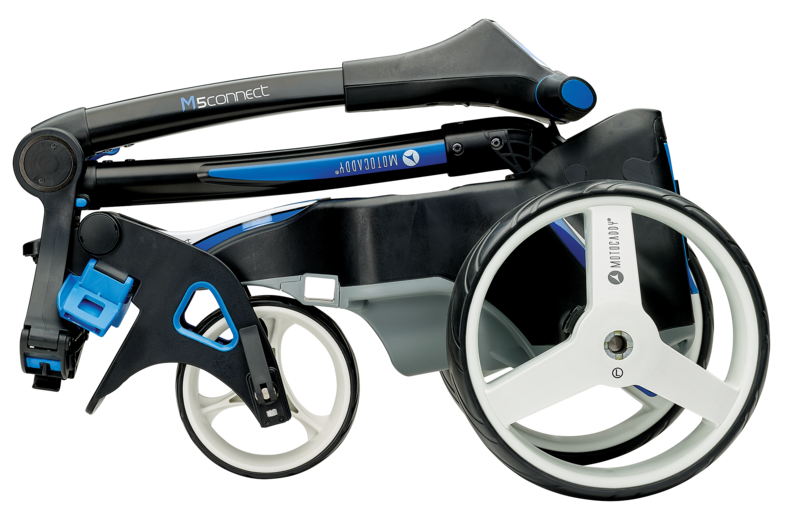 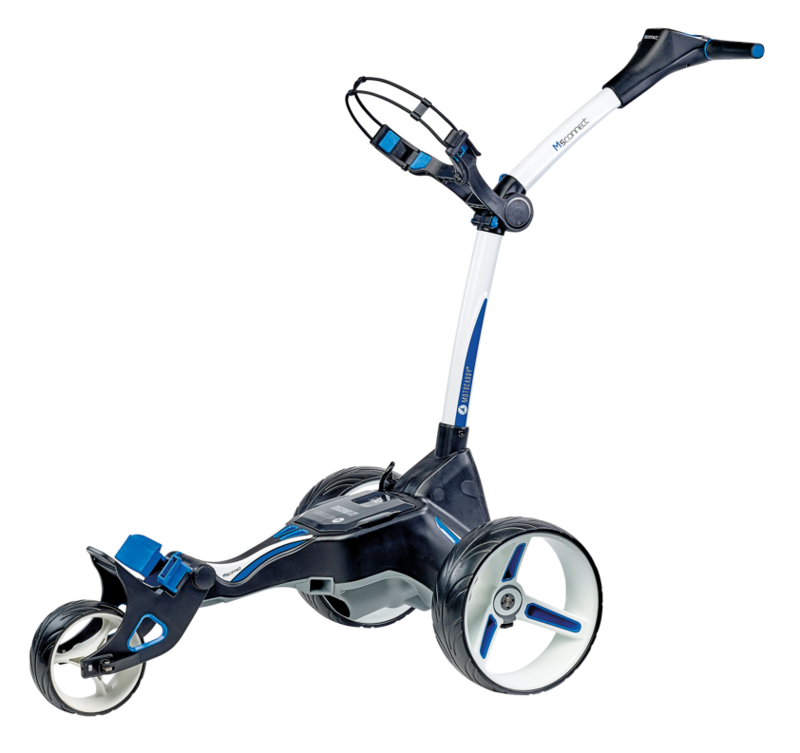 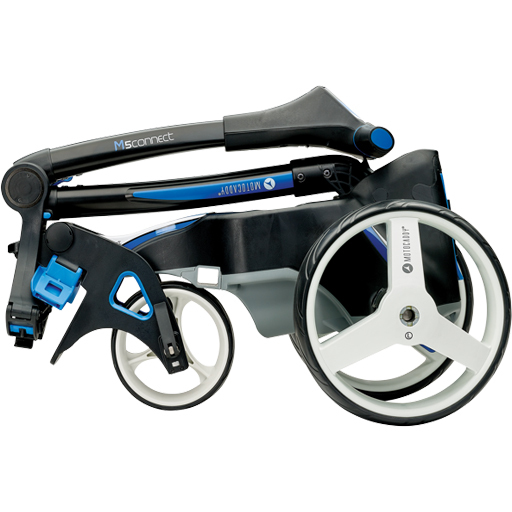 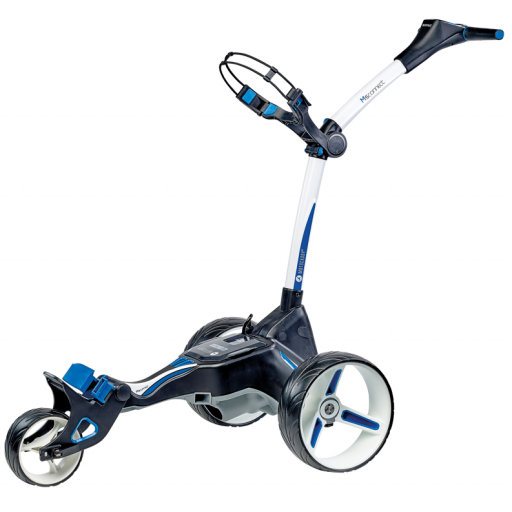 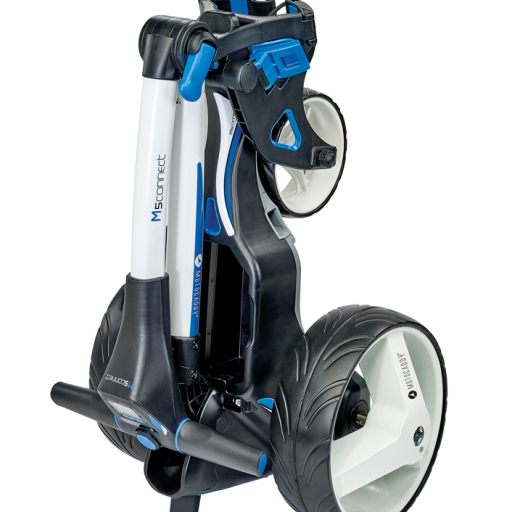 Featuring a unique SlimFold design and next-generation 28V power system, the M5 CONNECT is the world’s only compact-folding trolley to offer GPS information and smartphone notifications direct to the trolley handle. 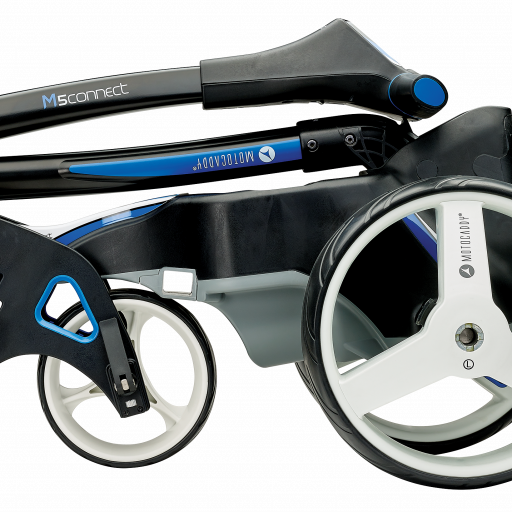 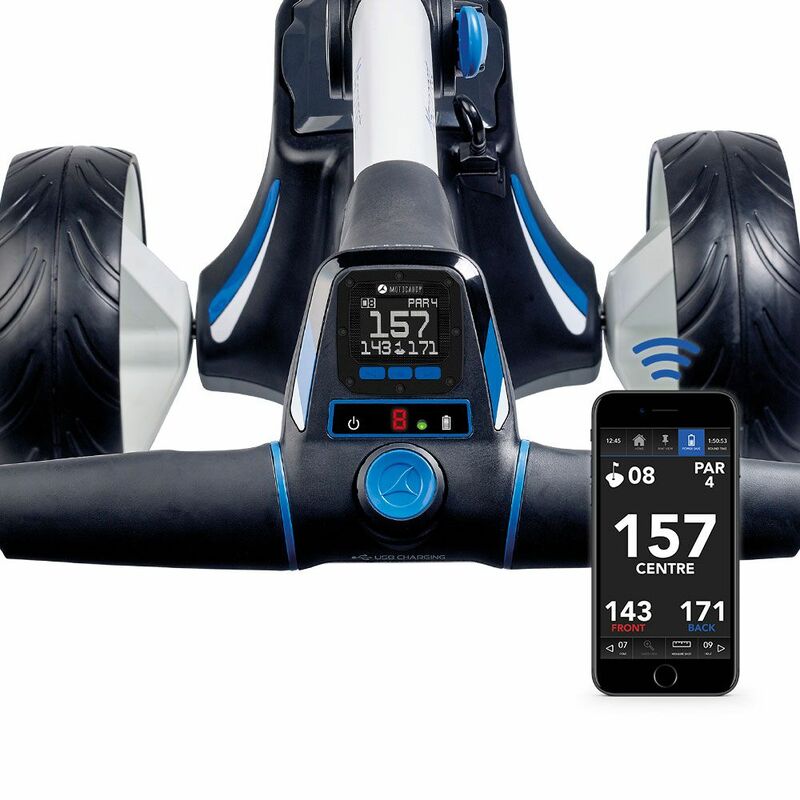 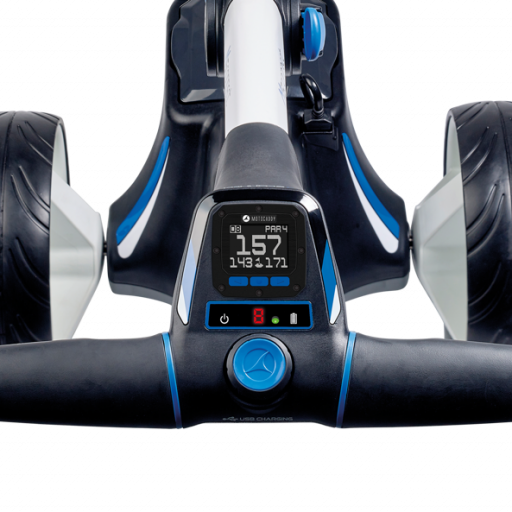 The newest addition to the revolutionary CONNECT range, the compact-folding Motocaddy M5 CONNECT can be linked to the fully-featured Motocaddy GPS app via a Bluetooth® connection on any compatible smartphone; allowing the trolley’s digital display to be used in place of a conventional GPS, offering front, middle and back distances to the green along with par of the hole and clock. 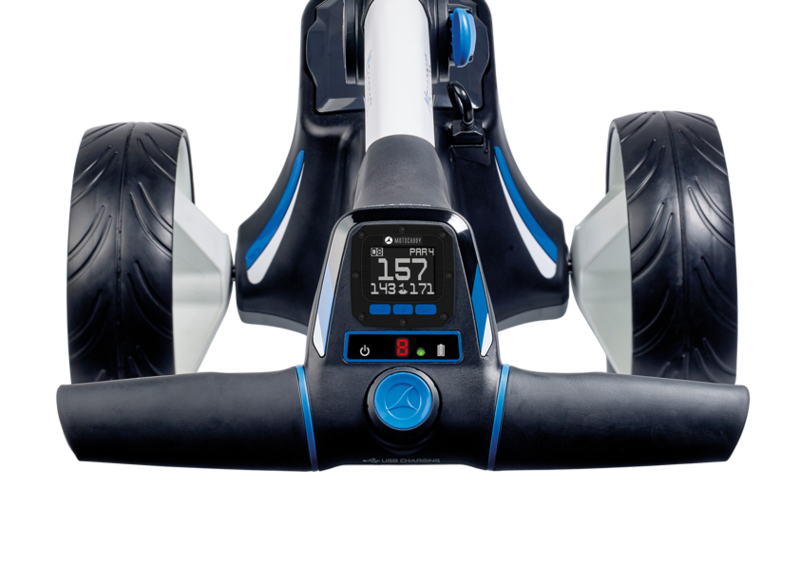 It also features a round timer plus shot measurement – both fully controllable from the trolley handle.